Pat Stitt, a life-long resident of the Charlotte area, has witnessed our region’s growth first-hand. Charlotte has become a very desirable place to live, work, play and invest with our professional sports teams, arts and entertainment, excellent restaurants and international airport, along with our proximity to the mountains and beaches, moderate weather, surrounding lakes, low cost of living and affordable home prices. Whether your interests are uptown living, urban, suburban, 55+ communities, rural, equestrian, small town or lake living, Charlotte and our 10 surrounding counties can match your desired lifestyle. As you relocate, downsize or up-size, invest or purchase your first home, your best interests are Pat’s best interests. 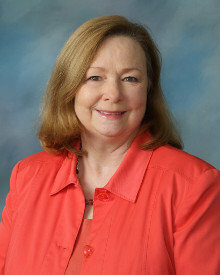 Pat launched her real estate career in 2005 and is licensed in both North and South Carolina. Her background in accounting and general office management has helped her develop listening, organizational and problem-solving skills which will guide you through the process of buying and selling your home. She has developed a unique system to keep you “in the loop” every step of the way from contract to closing. Real Estate is the art of becoming a valuable consultant, not a salesperson!